One of the best parts was that the weather was nippy enough to enjoy a great evening fire and making Smores ! We also got to enjoy a rare night off when Captain Larry and Linda took us on a Sunset Cruise on the pontoon boat out to the Gulf (oh no, Annie forgot her camera for that one!). Interesting moment..we observed a dolphin and bird doing a dance with each other and the dolphin had a split in his fin, like a camel -it looked to be healthy and enjoying it's freedom so we trust it continues to enjoy it's habitat. You can get a glimpse at the wonderful cabin decor in this special place. We highly recommend it as a quick getaway from Tampa Bay, only an hour up the Veterans Highway, and you can be in paradise. Check out the cabin on VRBO # 414355. They still have some openings for December and if you are thinking of doing a little River kayaking this coming Spring and Summer, it is the perfect place for couples and families alike. Not to mention, the Cabin property is filled with lovely plants from Mitch Armstrong Nursery ! Rather unusual to see Mitch in something other than a Tshirt and shorts ! Now on to Market news and a special upcoming event ! Saturday morning Market, downtown St. Pete continues to get thriving crowds. This weekend, the Santa Parade takes place but don't let it deter you from coming down to market. The Parade runs down Central from 5th street then up to the Vinoy. Best way to get to market? Come from a couple of streets south of the market and you can still find street and parking garages. This week - BOUGAINVILLEA are back ! This is always a favorite time of year when we start having gorgeous Bougainvillea at Markets, just in time to help you put some glorious color in your landscape. We also have more inventory of our popular handmade Cedar Birdhouses, which makes very unique Holiday gift. They have been flying out of the booth, and remember, if you can't make market, email or call us to make an appointment during the week to get your Birdhouses. Sunday, we will back at our newest market, in downtown Tampa, located at Franklin Street and Zach, right next to the historic Tampa Theater. As well, they have opened a holiday Ice-Rink nearby and the new gardens along the waterfront are gorgeous. We love the energy of this market and the vendors are all super friendly and have great products. This market hours are 10am-3pm. Sunday, December 9th, we will also be set up at the beautiful Florida Botanical Garden in Largo, FL. This special Gift and Plant sale happens during the Holiday time of their outstanding "Holiday Lights in the Gardens" that runs Nov 23 through Jan. 1. The light show is every evening 5:30 - 9:30 p.m and is free, but donations are appreciated and welcomed to help keeping this magnificent event going ($2 suggested donation). More than 500,000 lights illuminate the thousands of plants and trees that already make the gardens shine year-round. Home-grown entertainers perform nightly, gift vendors have stands around the interior and Food and drink is available purchase. 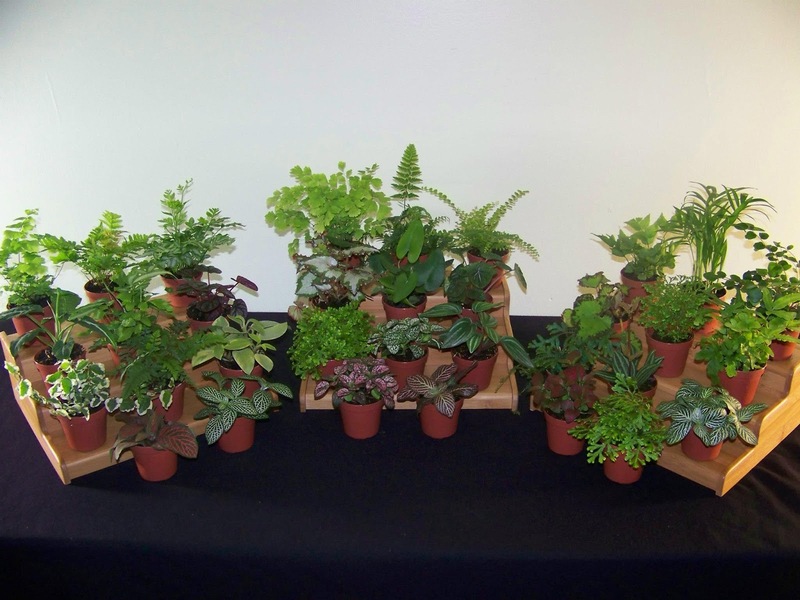 The Plant Sale - Sunday, Dec. 9th - 10 a.m. to 4 p.m. and they have even more plant vendors this year. The park is easy to get too with plenty of free parking. Our recommendation? Come for the Plant Sale, check out the gardens before dark so you can see their dazzling display of Tropical and native plants, then hang out a bit longer till it gets dark, and amble among the gardens again to see the Light show. It is truly one of kind thing . Get all the details and directions etc at www.flbg.org and hope to see you there. Lastly, many customers want to know more about one of our new additions to our business and we are talking about Miniature Gardens !! 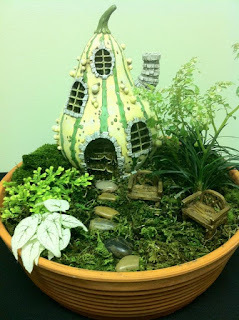 Many of us remember long time ago the popularity of Terrariums and they are making a big comeback, along with creating Mini gardens in containers for the home, porch and gardenscape. 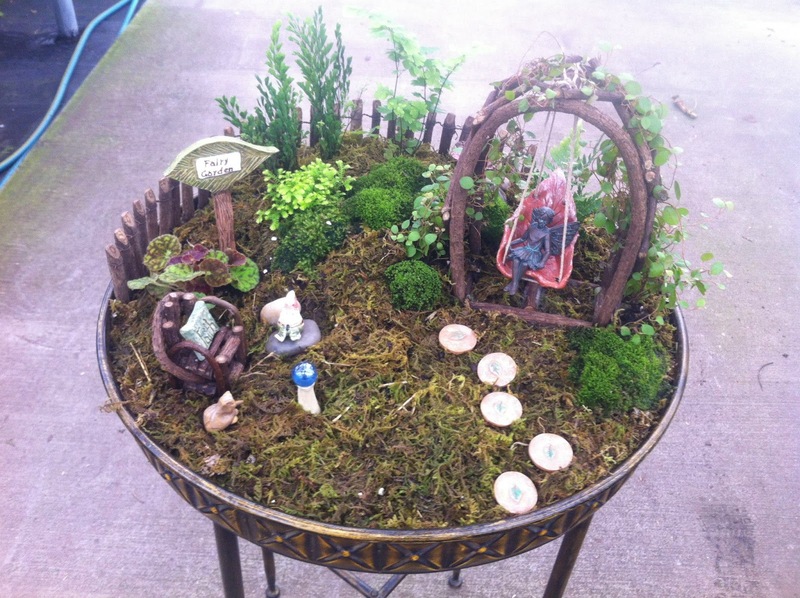 Fairy gardens are one of Annie's special interest and we plan to have ready-made gardens, as well all the supplies you need...plants....pots....and ornaments to make your own. Not wanting a big Terrarium or don't have the room? Any glass container can be used to create a mini-garden that will thrive in homes and offices. 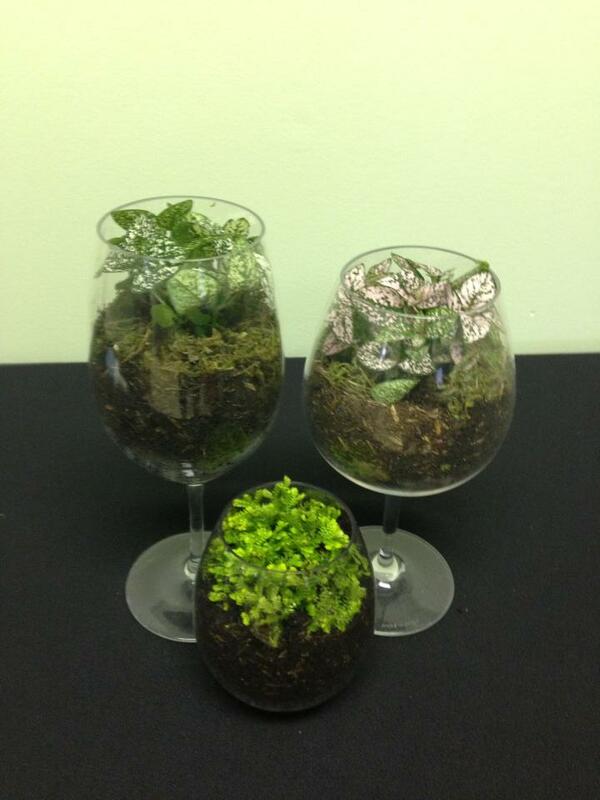 We also have available, kits that can get you started, for Terrariums or open container gardens. The kit comes with Rock, Soil, Charcoal (used for Terrariums particularly) and sheet moss. You can also add your own soil and mulch etc. So come join the newest Armstrong Nursery craze and check it out at our Market Booths. See ya at Market and remember, we really appreciate the community's efforts to BUY LOCAL, so we encourage you to check out all the wonderful things that Market vendors have, as well, give your patronage to all the great Local businesses in our beautiful town !